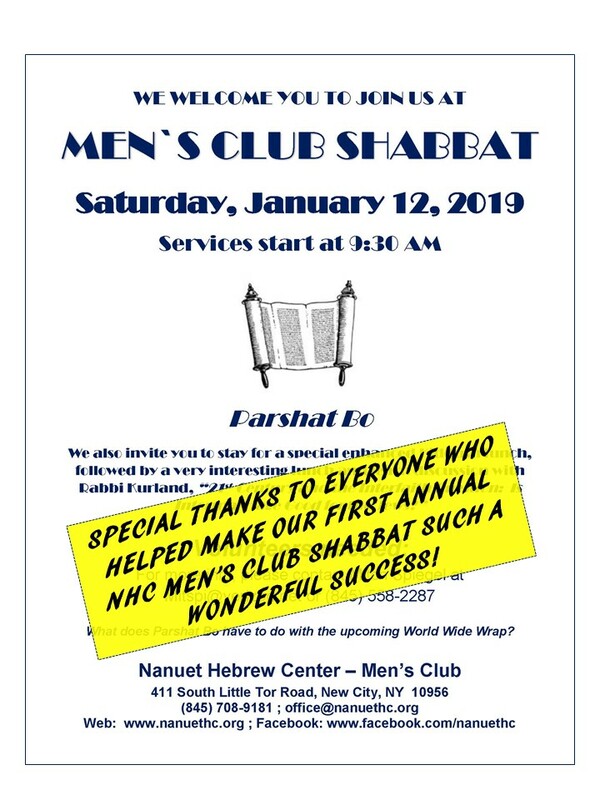 The Nanuet Hebrew Center Men’s Club welcomes you to join us for friendly camaraderie, educational and social programs, delicious breakfasts, and synagogue and community participation. We strive to make our programming open to the entire NHC family, including Sisterhood, and youth. 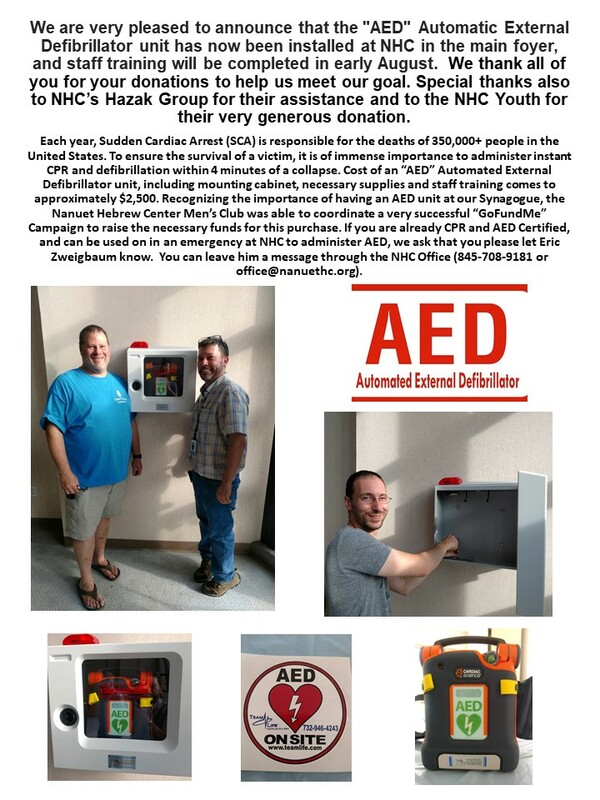 Please welcome Mitch Spiegel and Eric Zweigbaum, our NHC Men’s Club Co-Presidents. 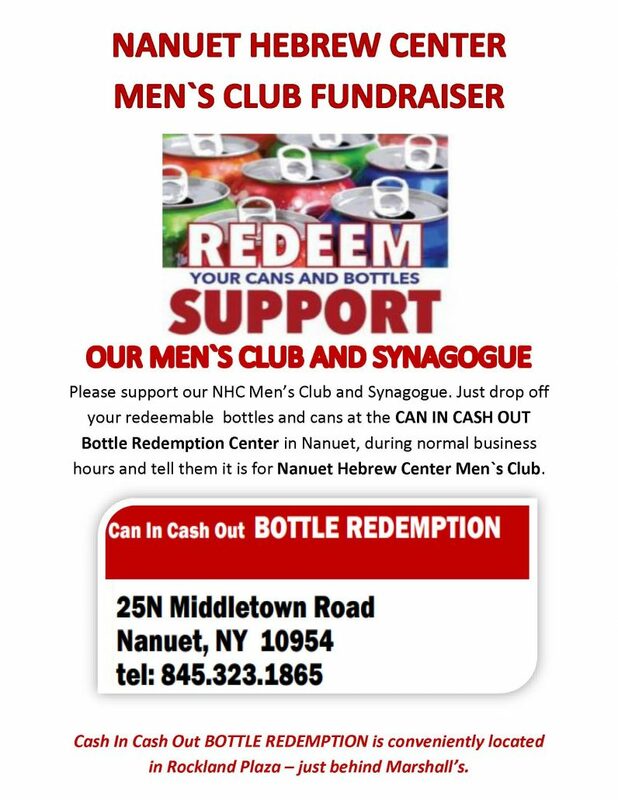 You can e-mail Mitch and Eric at MensClubGroup@nanuethc.org or leave a message for them with the Nanuet Hebrew Center Office. 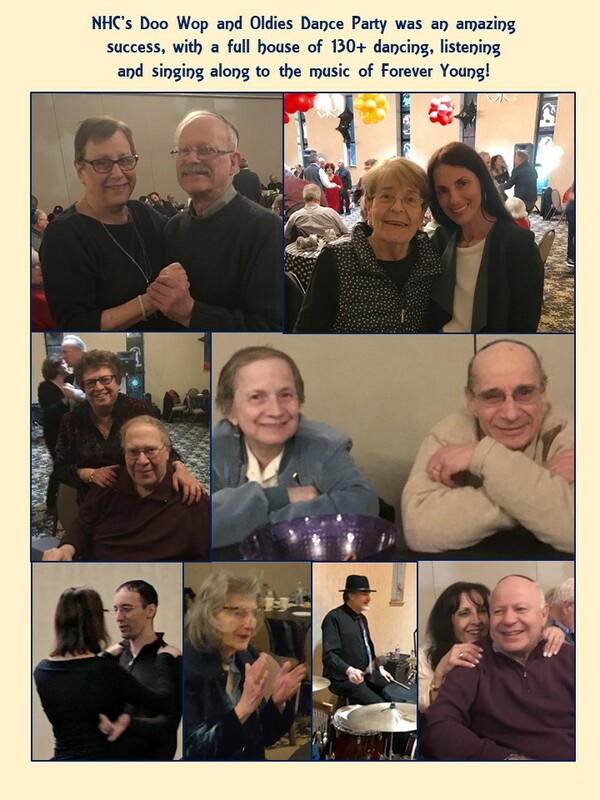 We sincerely thank Joel Gondelman, our immediate past Men’s Club President, for all of his years of service and support. 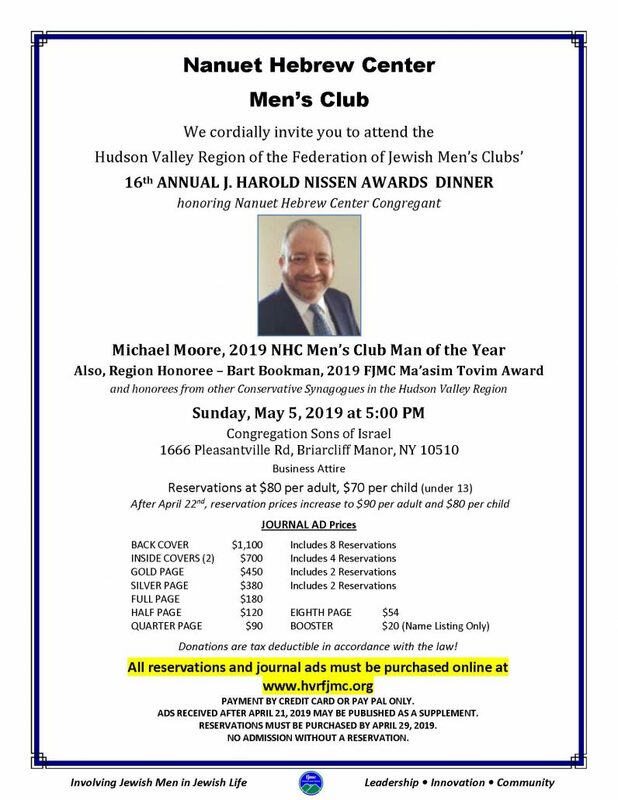 Mazal Tov John Fogelman, NHC’s Man of the Year Award recipient at this year’s Hudson Valley Region of Federation of Jewish Men’s Clubs Annual Awards Luncheon. 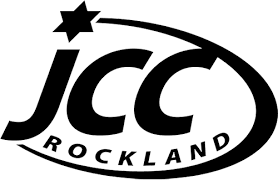 This honor also coincides with NHC’s annual Men’s Club “Man of the Year” Edmund I. Karp Memorial Award, “in recognition of outstanding service to Judaism and the Community.” This award, established in 1966 and in recognition of his achievements, was named after the late Edmund Karp, an influential “charter” member of NHC. 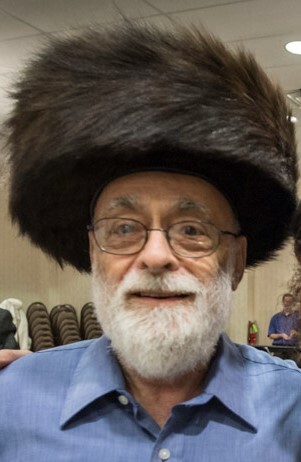 He was a life member of the Board, very charitable, and as a professional engineer, played an important part in the design of NHC’s original structure on Middletown Road in Nanuet. 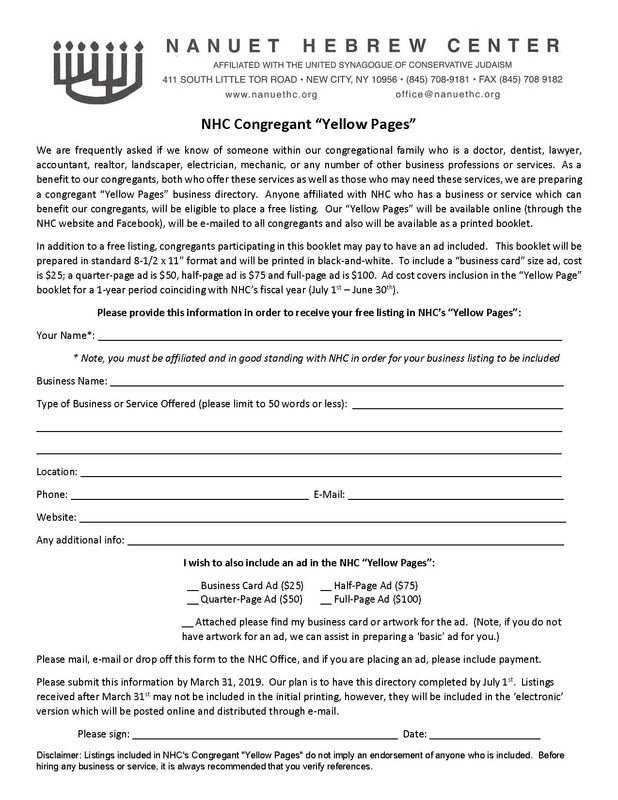 NHC Men’s Club Members: Please click here to visit and “Like” our Men’s Club Page on Facebook. 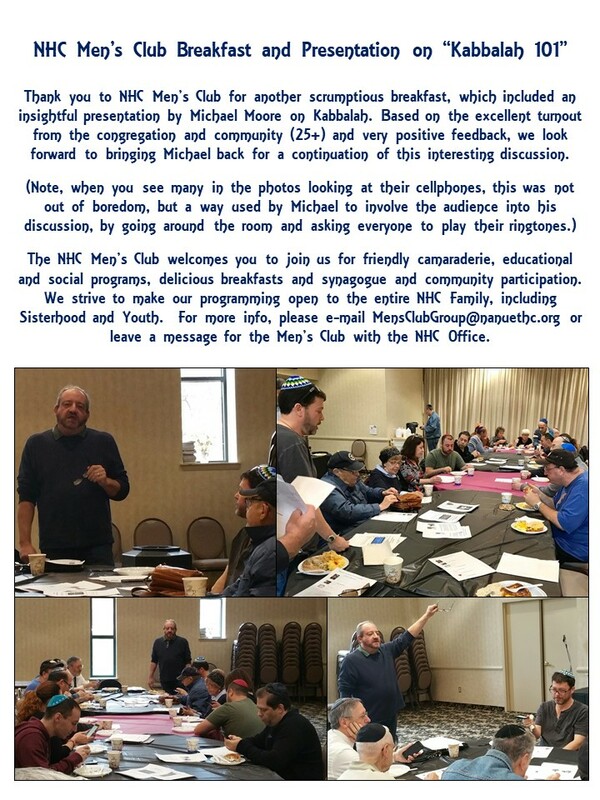 The Federation of Jewish Men’s Clubs (FJMC) is pleased to invite all members of NHC to receive a free subscription to the Unraveller. 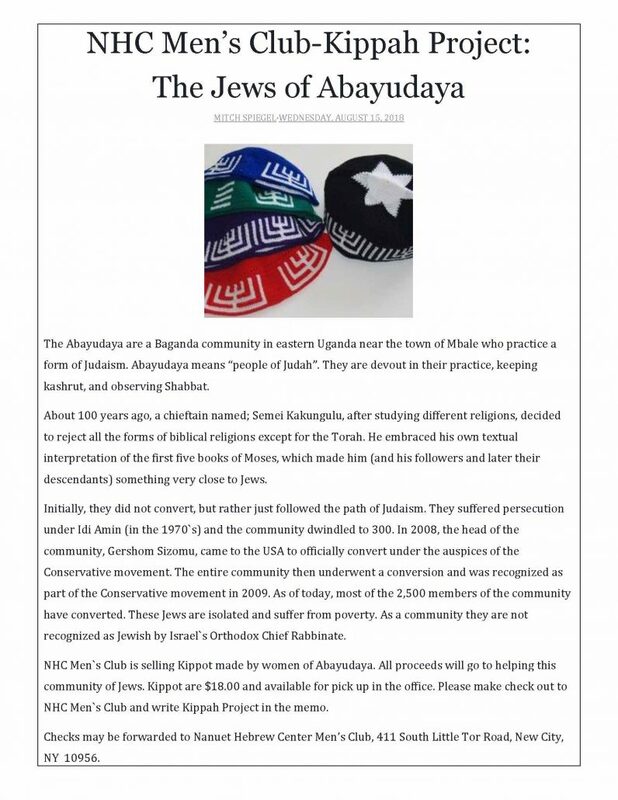 The Unraveller is a weekly commentary on the haftarah written by Conservative Rabbis in an easily readable style. 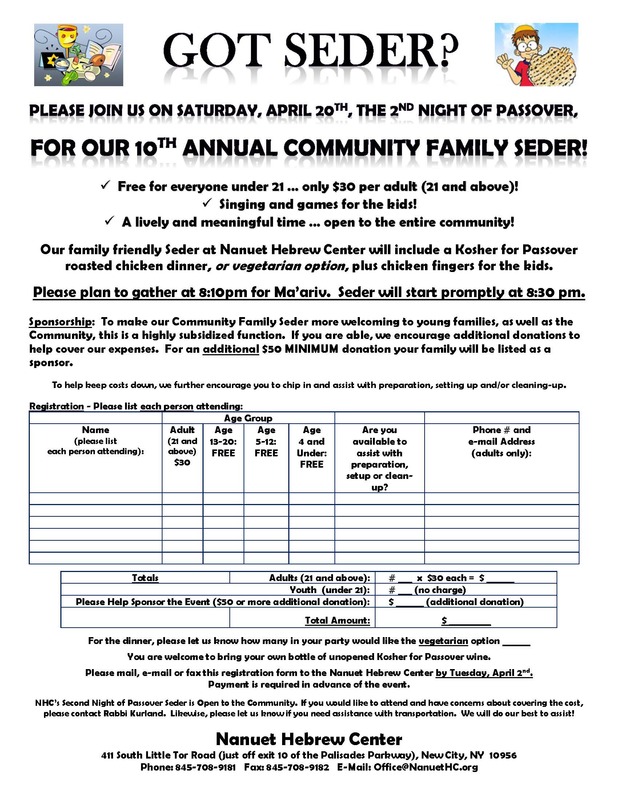 It is designed to better prepare us to understand and reflect on the words of the Prophets that accompany the Torah portion for that week. Learn about the context of that writing and why it was selected. 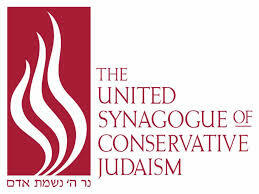 Learn also about other aspects of Jewish history, ideas and thought. Please help us ensure that we have a minyan every weeknight and Sundays (Sunday-Thursday) at 7:30 pm [unless otherwise noted]. We ask that you make a point of coming down as often as you can. 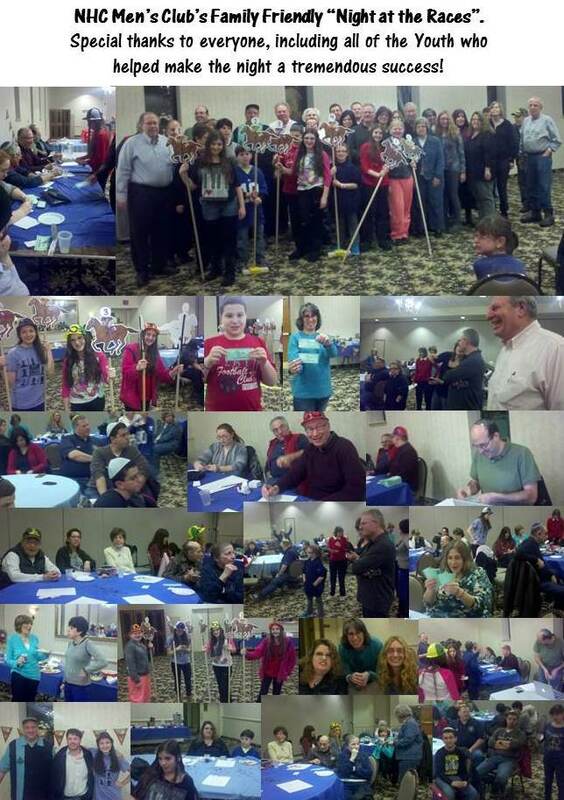 Our Breakfasts are open to All NHC Congregants – Men and Women, Potential New Families, Community and Friends. 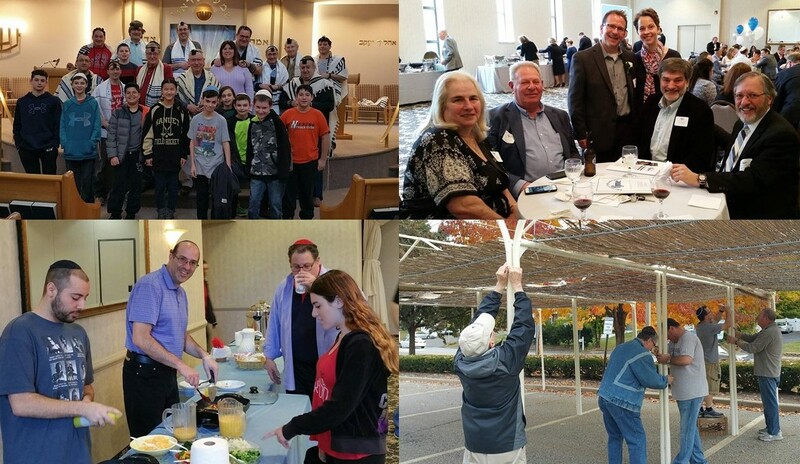 These famous bagels, lox and egg breakfasts also provide a great opportunity to network among fellow congregants and make new business connections and friends. 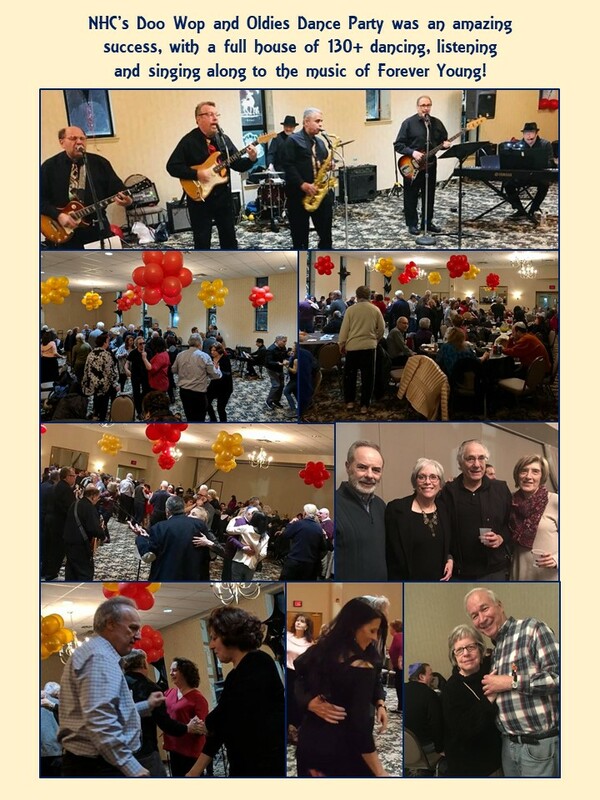 The Nanuet Hebrew Center is a proud member of the National Federation of Jewish Men’s Clubs.